Big bubbles, little bubbles; big price tags, little price tags… so what’s the difference? One thing’s for sure, when we’re talking about bubbles, size does matter! 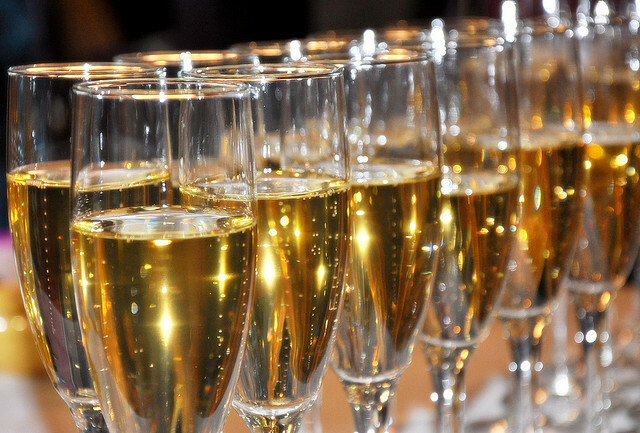 We will taste around 15 different sparkling wines & Champagnes including a few classics, like 2002 vintage Veuve & Moet. This tasting will guide you through the wines, comparing different price points to help you save money as well as teach you a few quirky facts to impress your friends! This educational and thoroughly social Guided Tasting will encourage you to appreciate wine for more than just its comforting qualities! After this tasting, you’ll be able to shop smarter, and can certainly impress your friends with your newfound knowledge. Bon Vivant Members save £5! SpeedTasting is not only a great way to have fun with friends, and to make new and interesting ones, but you can do it in a relaxed, fun social environment whilst tasting and learning a thing or 2 about your favourite wines! What could be better? There are 6 different learning themes, introduced in rounds by your friendly and professional host who, by the way, is just bursting with entertaining and memorable wine facts and tips. After each round, you move onto a different table where you are greeted with new, friendly faces and another set of generous tasting samples. The unique samples are a superb talking point and will really get your tongues wagging! In just over 2 and a half hours, and with carefully organized seat swaps, you will have met and engaged with most of the other attendees. You’ll also have enjoyed a Tastour of no less than 10 different wines. This means learning about and savoring each one of them, whilst in the company of interesting and like-minded people who are all there for the same reason as you: to enjoy new experiences and to socialise. Not only will you discover just how diverse taste can be, you’ll learn more about your own taste preferences, some which may even surprise you! And who knows? You may just develop some new friendships! Attending on your own? Don’t be nervous! Our events are designed to make you feel like a regular as soon as you arrive. This entry was posted in Events and tagged Champagne, sparkling wines on 14 February, 2012 by adminfw.